Alpha Lipoic Acid 5% is a concentrated biweekly treatment with alpha lipoic acid. This treatment visibly improves skin tone and texture. With regular use, it smooths and refines the skin while preventing free radical damage. 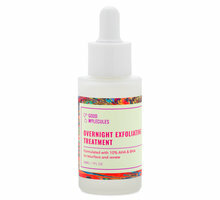 2-3 times per week, apply a few drops to your skin at night after toners and water-based products. Daily use is not recommended, as this can cause skin sensitivity. If irritation occurs, you can reduce the strength of this product by diluting it with most oils. This product should not be used on sensitive or irritated skin. Alpha lipoic acid is highly sensitive to sunlight. Do not expose this product to direct sunlight. For this reason, we recommend applying it at night only. Alpha lipoic acid is an antioxidant found in every cell in the body. 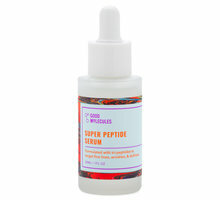 It defends against environmental stress and renews and rejuvenates skin. Can I apply Alpha Lipoic Acid 5% around my eyes? No. This product should not used near the eye area. 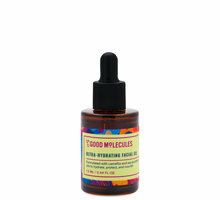 Will Alpha Lipoic Acid 5% work with my skin type? 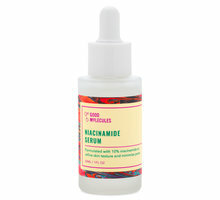 This product is best for skin that is not sensitive, inflamed, or reactive. It contains a high concentration of alpha lipoic acid, so it may cause irritation. How often can I use Alpha Lipoic Acid 5%? You can use it 2-3 times per week at most. How do I add Alpha Lipoic Acid 5% to my skin care routine? 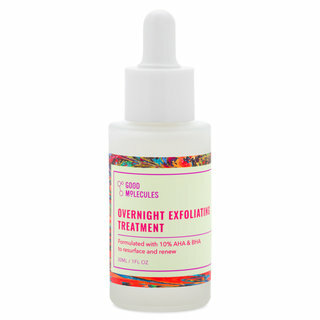 Apply it to cleansed skin after toners and water-based products at night only. Allow a few minutes for it to absorb before applying moisturizers and creams. Use it 2-3 times per week at most. Can I mix or layer Alpha Lipoic Acid 5% with other products? Yes. If irritation occurs, you can reduce its strength by mixing it with a facial oil, like 100% Organic Cold-Pressed Moroccan Argan Oil. This is a very interesting product. It's my favorite from everything I've tried from the Ordinary. It actually FEELS like it's working. 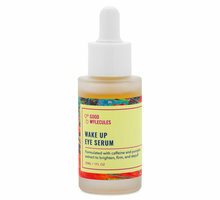 I take about two or three drops on my hands and pat it onto my skin as the second to last step before moisturizer. It's not moisturizing on it's own. I only use this once or twice a week. It has an interesting consistency that's like a very thin oil, but not greasy at all. It feels similar to a dry oil that absorbs very quickly. Be careful with it though because I could see it causing a reaction if used in excess. Follow the directions! It's potents stuff! It doesn't mildly tingle like a lactic or glycolic acid. It more like burns for about 45 seconds, but it's tolerable and you get used to it. Sometimes I don't feel a thing. It's usually when I've skipped over it for a week or get caught up using other products and then go back to it that I feel the sting. I quite like the feeling though. And it's so worth it because my skin is super soft and feels and looks rejuvenated the next morning. It's like my skin got all of it's nutrients overnight. 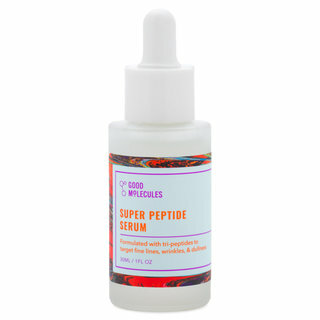 The antioxidant benefit and protection from free radicals is mostly why I use this. 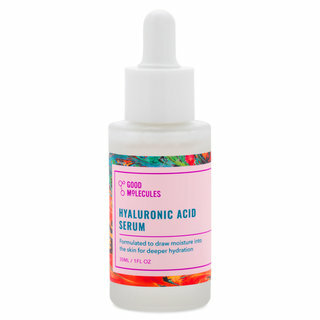 Lipoic acid is also supposed to be amazing for anti-aging, but I am 30 and don't have noticeable wrinkles yet (yet) so I havn't noticed the anti-aging thing thus far. Considering how it feels, I don't doubt at all it works for that! I do have slightly sensitive skin on my face, so keep that in mind. I don't think everyone will experience the sting, but it's something to be aware of. I have researched it just to be sure it wasn't my skin reacting poorly to the product, and I've read this can happen. I've never broken out or gotten a rash from it and my skin never turns red from it. My skin rather drinks it up and I totally see results, so I know it's a good kind of sting. However, avoid contact with water on your face once you've applied it because for some reason water amplifies the sting by about ten fold. I made that mistake last night when I sprayed rose water on my face directly after this ( I sometimes like to spray a mist before applying an oil to help it spread better). The water took the sting from oddly pleasurable to curling my toes, biting my lip trying not to cry kind of burn that lasted an additional 45 seconds. Never again. It was as if the rose water reactivated the whole process, but in a big way. Still no reaction or redness, just discomfort. Be careful. No water after use and you'll be fine. I hope this review is helpful and does not deter anyone from trying this product because it is so so amazing. I think everyone could benefit from using it. It just takes a little getting used to. I will forever keep a bottle for regular use. Thank Ordinary for an amazing quality and amazing prices. I don't consider myself as having sensitive skin. I've used some very strong peels in the past without irritation (including the ordinary's 30% peeling solution) so I thought I would be a good candidate for this product. I used this one time, mixed with argan oil and my skin looked 10 years older for almost a week. It was dull, dry, sensitized and the fine lines on my forehead were more emphasized. I know it was this product because I dont use more than one new product at a time. I had to do a moisture mask every day for a week before my skin looked normal again. To be fair, I should have patch tested but I figured since I had teflon skin I wouldn't have any issues. The one positive is that my skin tone looked brighter overall. So yeah, be careful. Do a patch test and don't assume your skin can handle this very strong acid. I have been using this for a couple of weeks now and I love the results. I peeled a bit the first couple of times I applied it but that has stopped and now my face just looks and feels softer and a bit smoother. I have actually been using it every other day with no excessive drying effects. No sensitivity or redness noted either. I follow it up with the glycolic toner, hyaluronic acid and the buffet under a good moisturizer. A plus from me. So - I've been using The Ordinary products for the last 5 months, and I'm absolutely in LOVE. I have dealt with a variety of skin issues (adult acne, dull skin, scarring, hyperpigmentation, psoriasis) over the last 10 years, and for the first time in my adult life, I'm able to go makeup-free. My skin is French-girl glowy, and I can’t believe it. The Ordinary products form the core of my skin care. I’ve created a routine for myself, and hopefully this review might help you to do the same for yourself. I patch tested all these products, and tried a few different routines (frequency, amounts, combos) before I landed on this. I’d recommend everyone does the same, since everyone’s skin can react differently. I tried to keep in mind what each product does, their pH level, and what products enhance each other. Take a shower and towards the end, start scrubbing with one of these - your dead skin will ROLL off in little pencil-eraser looking things. It is WILD. Then follow up your Korean Body Scrub with the Lactic Acid, and YOUR SKIN WILL FEEL LIKE ROSE PETALS. Baby skin. The only other thing about this routine is that The Ordinary serums (Buffet, Niacinimide) have to be used with a light hand. They tend to pill up under makeup unless you use a very small amount. Not for everyone, but if it works, it works! I love this acid treatment! It is strong. I use it about 3 times a week, and it goes on with a strong warming and tingling sensation on my skin. But that goes away after 5 - 10 minutes. I do find it slightly drying overnight but my skin looks smoother, clearer, generally bright and beautiful the next morning. Love. I have been using this twice a week for over a month now and have really seen a difference in the overall brightness of my skin. My mother even made a comment the other day about how great my skin looked without any makeup on. I am going to be buying her a few products from The Ordinary to try out and this will certainly be included! If you are not used to strong ingredients use this sparingly though as it could cause irritation. 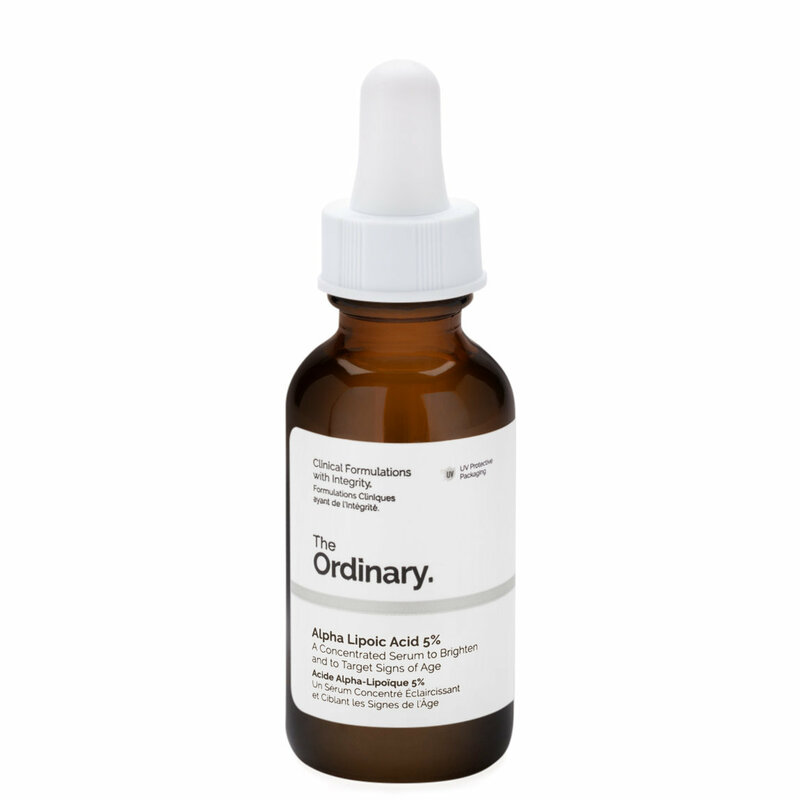 The Ordinary's products are pretty darn strong so work your way up to using them if you have to in order to avoid irritation. I tried this product alone to make sure that I would not have a reaction. I developed splits on the corners of my mouth from one use that took over three weeks to heal. I was using no other skin care products as I was preparing to review the brand. I was careful to avoid my mouth and eyes during application so I am not sure how this happened. I would suggest being very careful and to use sparingly as I only used two drops. The risk is not worth the reward for me. I am very happy with the other products so this one may just no have been for me. I have extremely fair skin and after having a baby a year ago, I found that my complexion was just a bit dull. I gave this product a shot (along with several other The Ordinary items) to see if it could help with my skin's overall tone and appearance. This did not disappoint! I woke up the morning after applying this for the first time and I could genuinely tell a difference. My skin appeared brighter and more even in tone. I now use this twice a week, the AHA/BHA peel once a week, and the 5% lactic acid on the remaining days and my skin is leaps and bounds from where it was before. I don't wear any concealer or foundation most days, and I credit this product with a lot of that. I have had no peeling, no inflammation, really no reactions of any kind other than better skin. Highly recommend this! Give your skin a generous amount of time to absorb anything you apply before AND mainly after applying this because you'll feel like you're burning your skin OFF if you go in too soon with anything if it doesn't completely absorb... I learned the hard way that even when you think it was sufficient time... add an additional 5-10 mins just to be safe. I have not used many acids in the past and was dubious at first to try any but I have grown to love The Ordinary products and figured it was time to give it a try. I had a little tingling at first but so far after 3 uses, it seems to be working very well.